Whatever happens in the court of law, the gavel has already fallen in the court of public opinion. I’m not singling anyone out, but the tone on Twitter follows a particular tone: He did it. 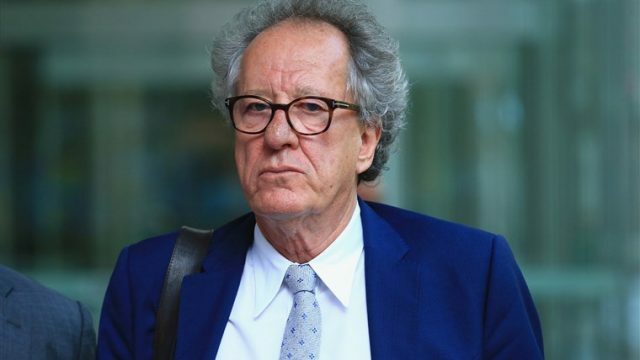 My opinion is that Geoffrey Rush is a gross, creepy fuckface. With that being said, it’s an extremely interesting discussion to have regarding what qualifies as consent, and how lines are blurred and moved along with a fictional narrative. As an objective argument, it’s one we should be having. Subjectively, through the prism of Rush, while the jury is out, I’m not so sure. Last night’s interview was important, because it was reminiscent of another case we can’t talk about. Late last week, something happened to someone prominent. A certain something we’ve long assumed to be true. It happened, but we’re not to discuss it, and to make sure we couldn’t, a suppression order was issued. Because the public can impair judgement, we’re left discussing the periphery. But we do so, under the assumption of guilt. The difference, of course, is the machinations of the legal world. One is protected by the court, the other isn’t. Case A was found guilty, Case B is guilty on assumption. Whether he did it or not, is a matter up for discussion. But there is more than one being had.